Jeanne Branthover, Head of the Global Financial Services Practice and Managing Partner at Boyden New York discusses the role and career path of the Chief Risk Officer. Jeanne Branthover, Head of Boyden's Global Financial Services Practice is quoted by the Financial Times discussing when MBA degrees are most appropriate. Jeanne Branthover, Head of Boyden's Global Financial Services Practice discusses the trend of expatriate executives managing companies in emerging markets with the Financial Times. 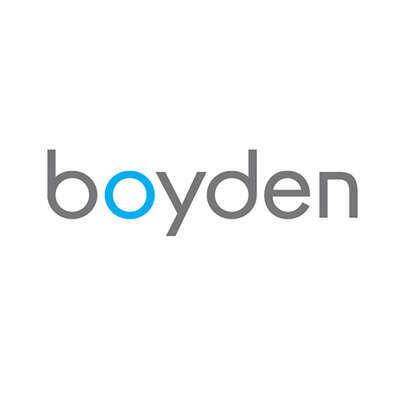 Jeanne Branthover, Managing Partner of Boyden New York and Head of the Global Financial Services Practice discusses why pay has risen within asset management. Howard Gross, Partner at Boyden New York and leader in the Retail,Fashion & Direct Marketing practice, debates management's dilemma of promoting within vs. hiring an outsider.